Floor Area: 4000 sq. ft. 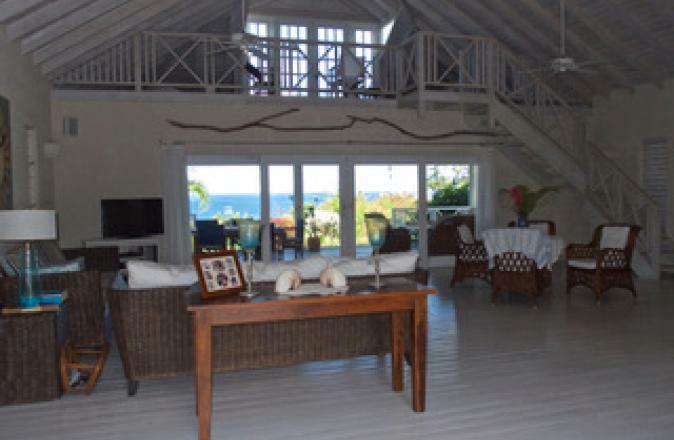 This 5 bedroom, 4 bathroom single storey villa with fabulous sea views, is a must see to fully appreciate it. The lush established gardens surround the gated villa giving security and privacy. As you cross the front porch and enter the double wooden doors, you walk into the stunningly spacious main central room with high vaulted ceilings. This room includes a fitted kitchen with granite worktops, dining and living areas. Two doors on either side give access to the bedrooms. Large fully retractable glass doors open up onto a semi covered veranda which runs along the back of the villa over looking the lush gardens, infinity pool and the Caribbean Sea. There are two en-suite bedrooms located to the south side of the property and a further three bedrooms and bathroom, laundry area, external drying yard, storage area and an open single car garage on the north side of the villa. 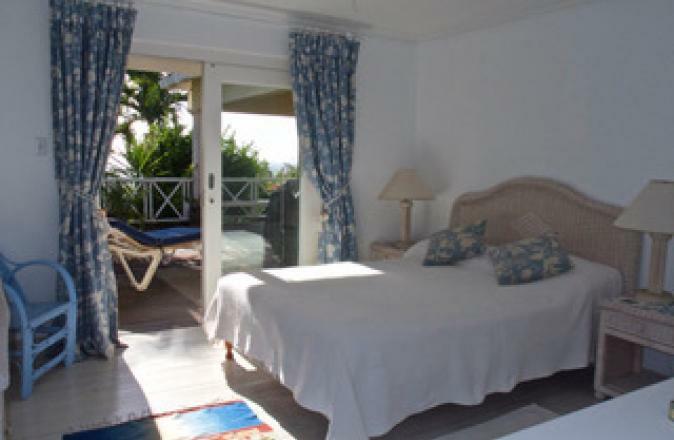 All bedrooms have air conditioning, ceiling fans and wardrobes, the main bedroom has plenty of closet space and French doors leading to the covered veranda, pool and spectacular sea and garden views. All bathrooms are tiled throughout and finished to a high standard. 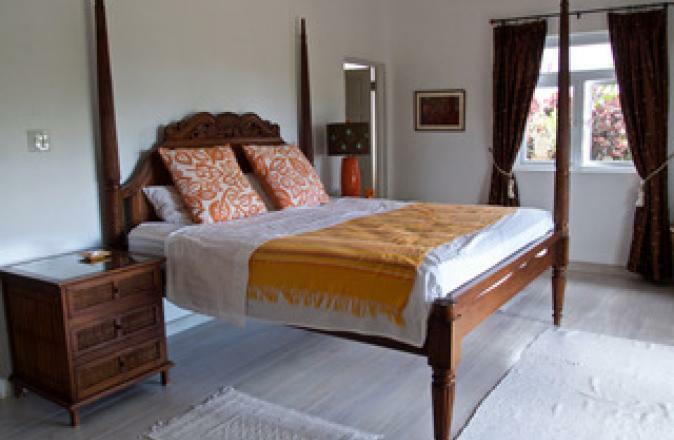 Light wooden floors run throughout the house except in the bathrooms which are fitted with Travertine marble. This is certainly the perfect location where stunning views combine with an easterly breeze to provide a perfect Caribbean lifestyle. 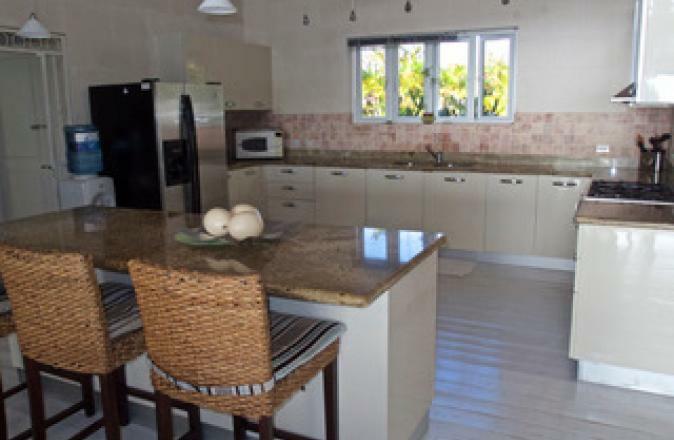 Situated in a quiet residential area with the beach a short walk away. Situation: Carlton View is in St James and five minutes away to Holetown and the historic Speightstown with shopping, beaches, bars, resturants and banking facilities. 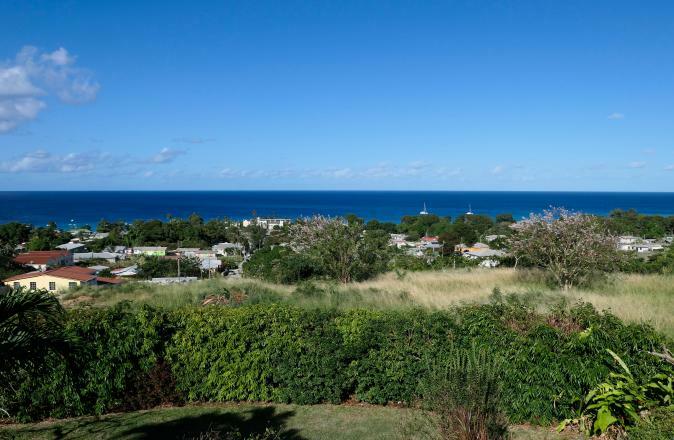 Situated on over half acre of land on the exclusive ridgefront of Carlton View Estate in St James. 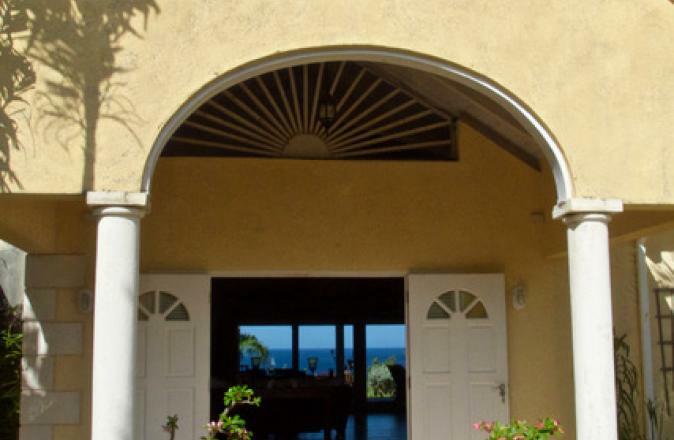 This spacious 5 bedroom 4 bathroom villa has magnificant views of the Caribbean sea and a swimming pool all set in a tropical garden. 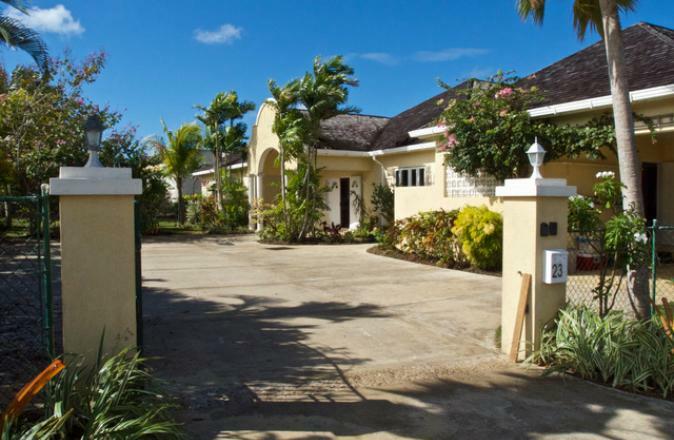 Located only 2 minutes drive to west coast beaches and close enough to the amenities of Holetown and Speightstown with tennis and golf available at Sandy Lane or Sugar Hill all but a short drive away. This is a 5 bedroom 4 bathroom (two of which are en-suite) villa situated in a quiet residential area surounded by lush gardens with fabulous sea views. 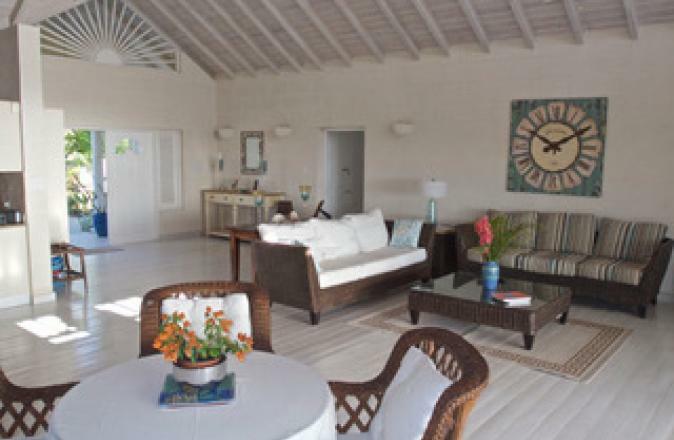 The main central room has a high vaulted ceiling giving the villa a wonderful airy feel. The kitchen is fully equipped complete with granite worktops and a gas cooker. 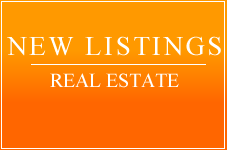 The property sits in a breezy location measuring half acre, it is completly fenced around and has electric gates. The large open plan living area has an upstairs room with a balcony that has the potential to convert to a further bedroom. All bedrooms have A/C and all bathrooms have marble. There is a utility room, outside drying space, garage, fruit trees, fully fitted kitchen, Infinity pool, large veranda semi covered, natural breeze, near the beach, mature garden and parking for several cars. House Size: 4000 sq. ft.